As a travel photographer and filmmaker, I have had the privilege of traveling to some very cool places. 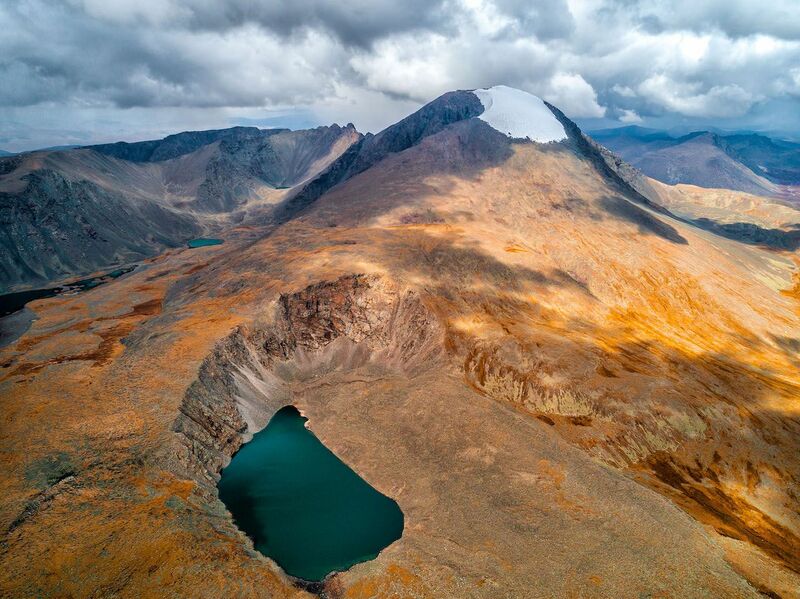 One country I can’t seem to get away from is Mongolia — for the last three summers, I have spent at least one month there filming different projects for the Mongol Ecology Center, an environmental NGO. 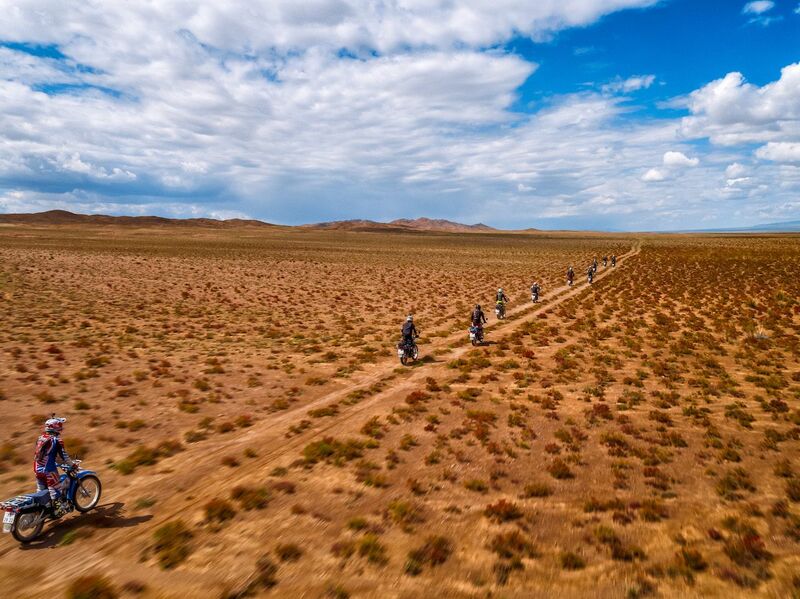 This year, I was tasked with filming a motorcycle rally through the iconic Gobi Desert on the way to Otgontenger Mountain. 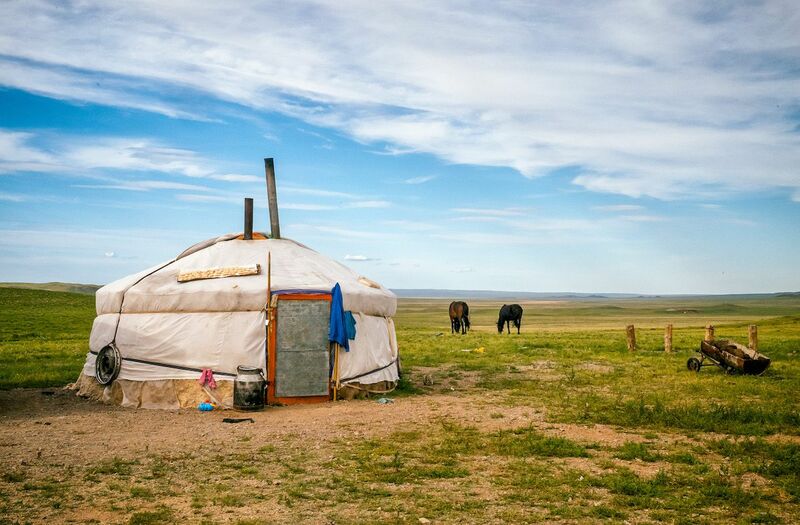 Even though I had been to Mongolia before, this journey south was going to be very different from my previous trips to the northern Mongolian taiga. 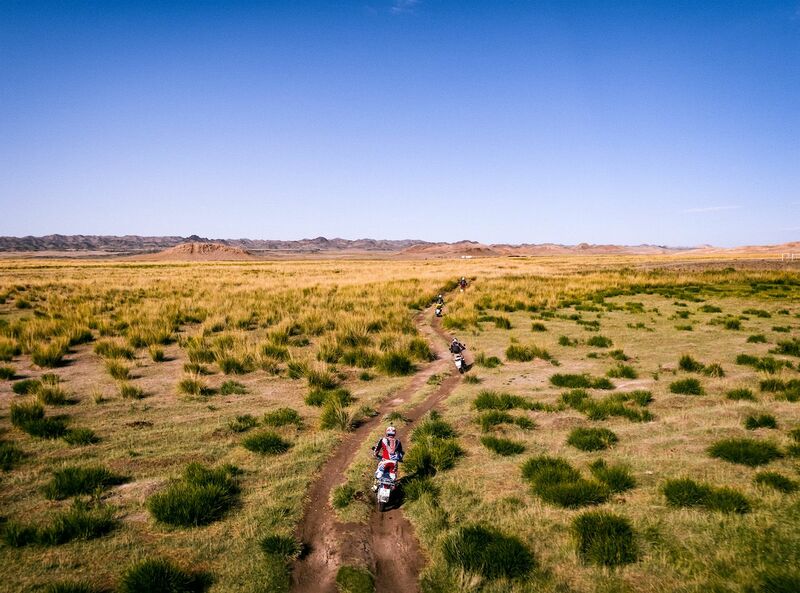 The goal of this trip was to deliver 10 motorcycles to park rangers in Otgontenger’s protected area. The rangers usually patrol on foot or on horses, so having an all-terrain vehicle like a motorcycle would make their work a lot easier. The event is called Rally for Rangers. 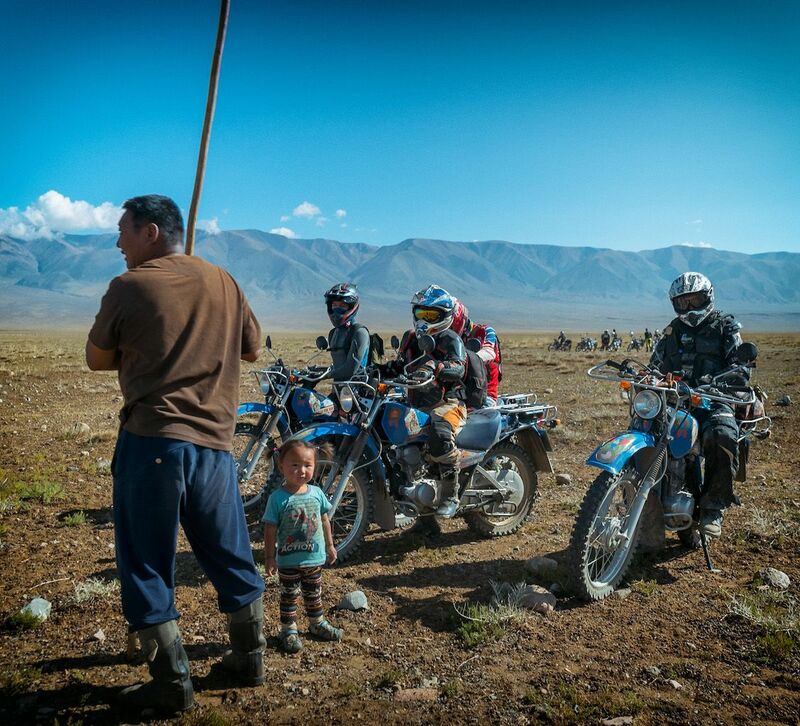 So far, this event has brought 47 Yamaha AG200 motorcycles to park rangers in Mongolia. 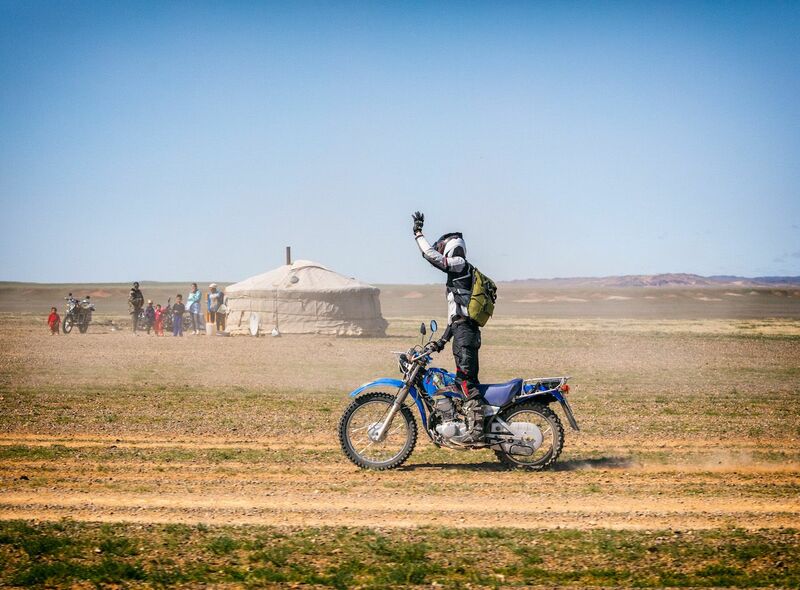 The motorcycles are delivered at no cost to the rangers and are maintained with parts provided by Mongol Ecology Center. 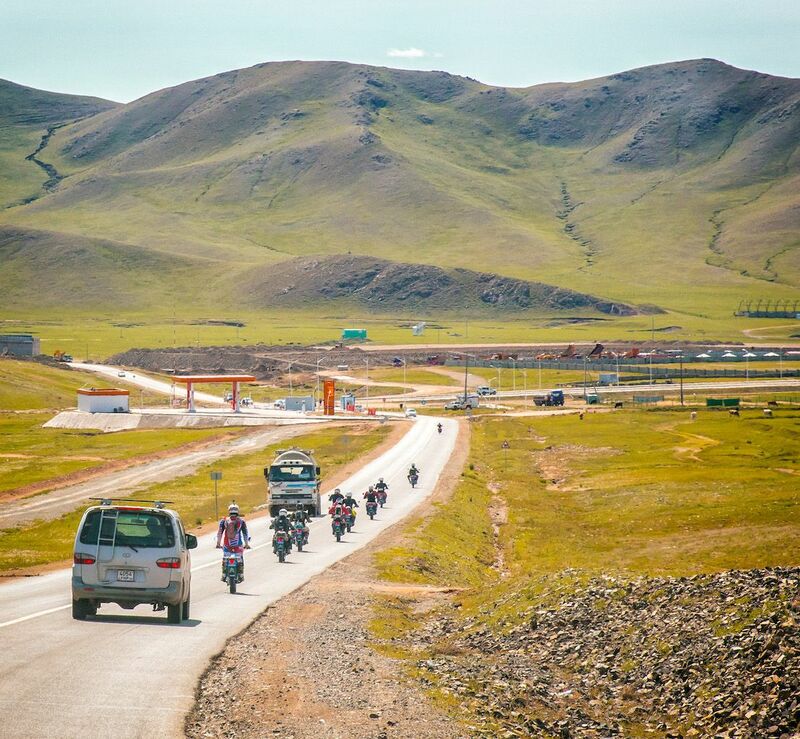 On the first day of the rally, we departed Ulaanbaatar and rode on a 200-kilometer paved road. 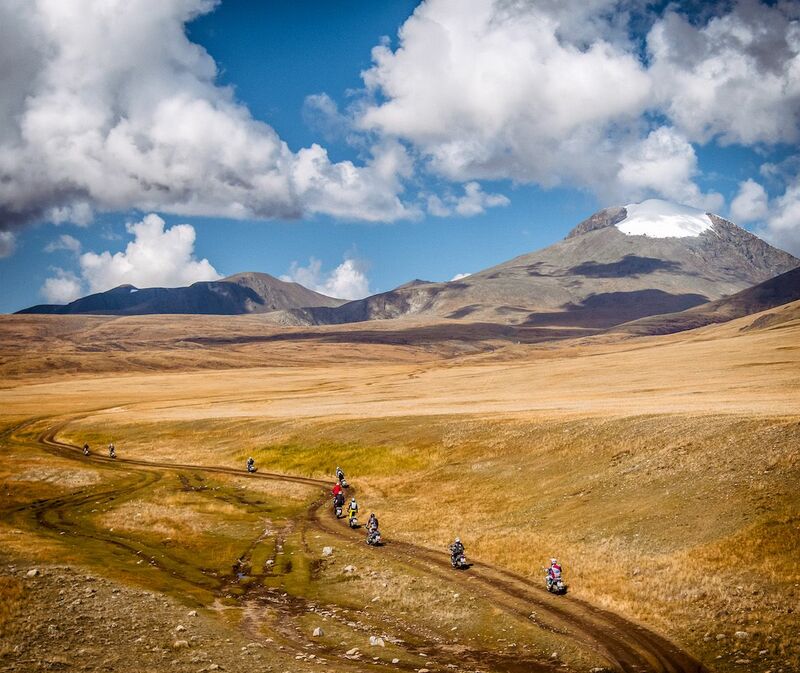 Little did the riders know that that was the last pavement they would see for two weeks. My job had just started. 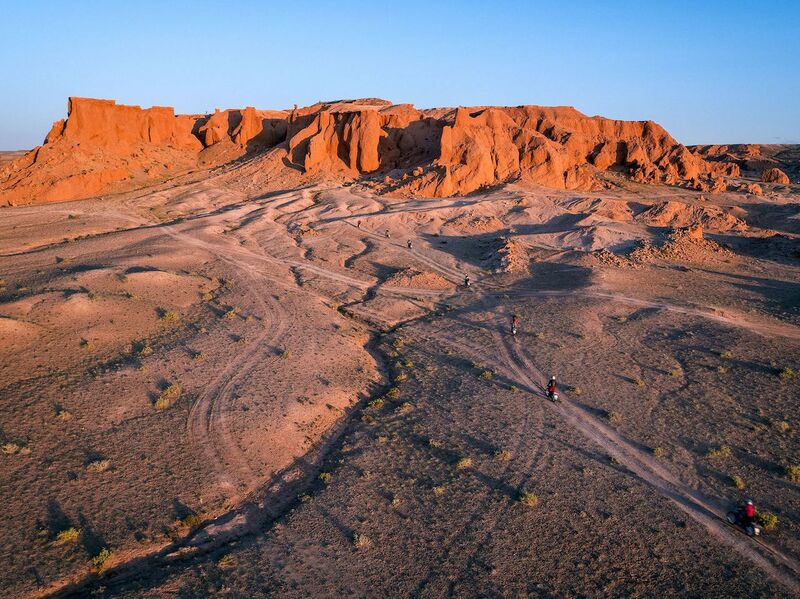 I was in the support vehicle with my drones, cameras, and my trusty driver Boro. 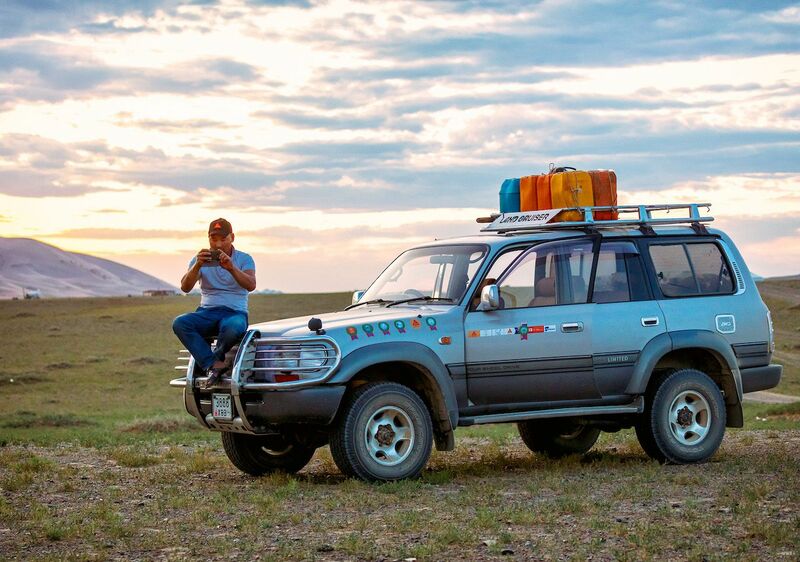 Boro and his Toyota Land Cruiser. He probably takes 300 photos a day with his camera phone. One of the riders, Michael Roberts, shortly after we got off road. We spent our first evening at a ger camp in Baga Gazar just outside the Adaatsag Sum center. It was a lush, somewhat green area with horses and other livestock roaming. Our first night in the countryside was a new moon so the stars were out. Sleeping in a ger is a very different experience from sleeping in a camping tent. 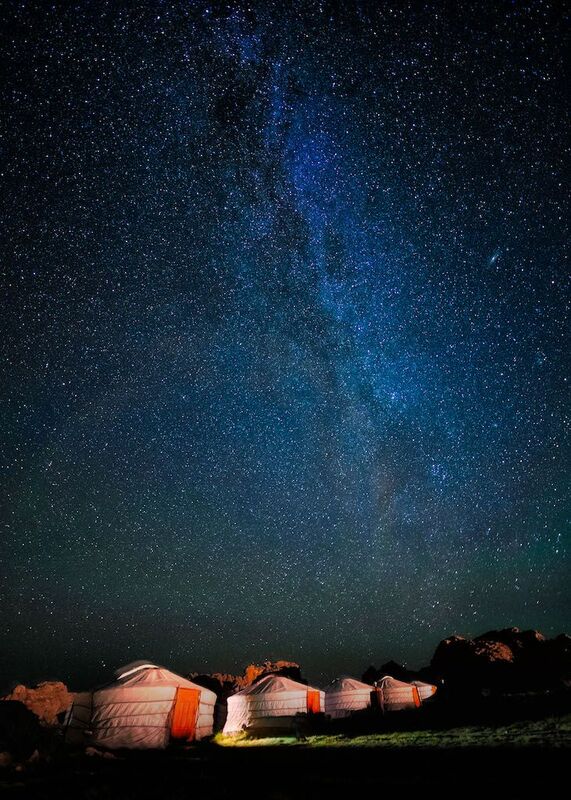 There are carpets for floors, usually gaps in the doorway, and the ceiling has an opening for the stove pipe so you can see the stars — it’s best to avoid sleeping under that opening when it rains. The next day we departed at 9 AM after a hearty breakfast. 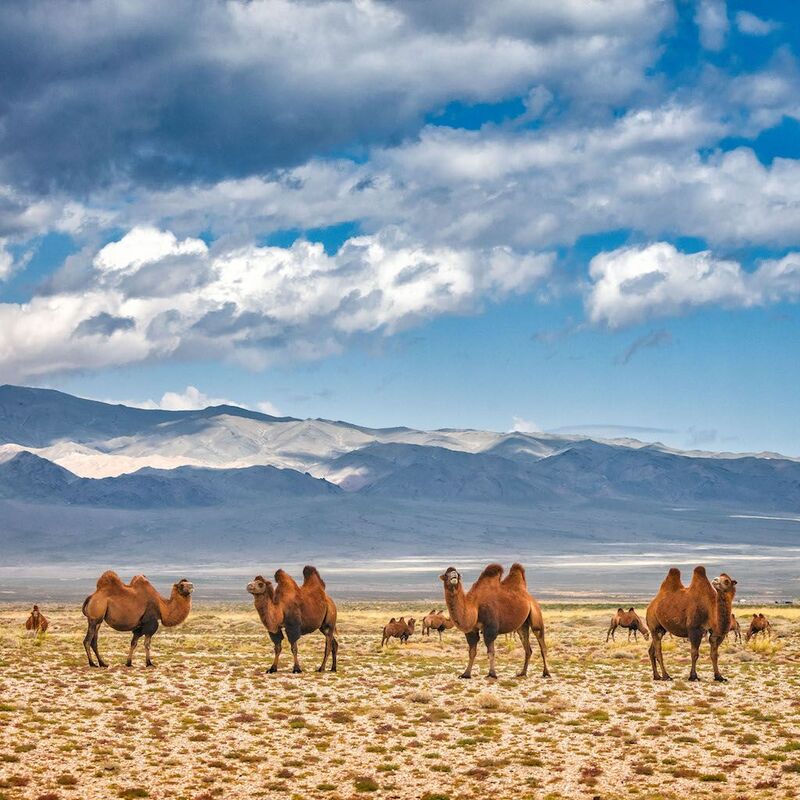 We were about to enter the Gobi Desert, which was something I had been wanting to do for 10 years. 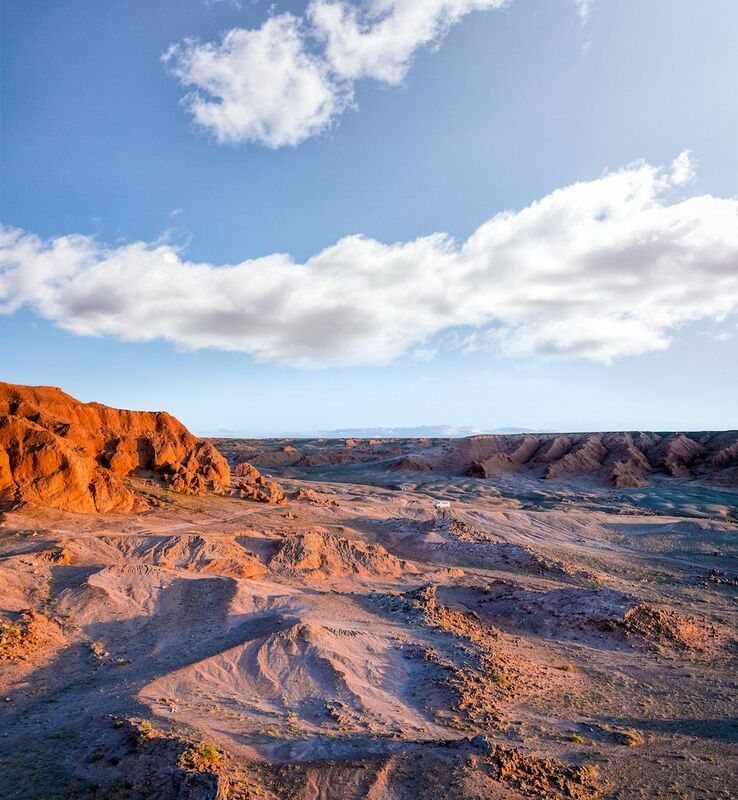 The Flaming Cliffs are an archaeological dig site where the first dinosaur eggs and velociraptor were discovered. You can find fossils everywhere but it is illegal to remove them without a permit. The Flaming Cliffs’ name comes from the red fire color they reflect when the sun is setting. 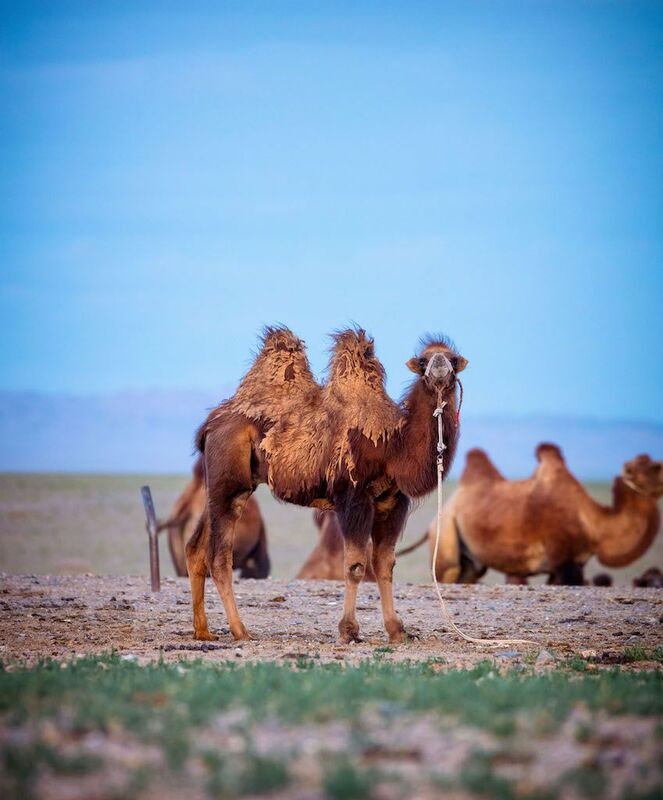 The camels in Mongolia are Bactrian camels with two humps, unlike their Dromedary cousins in the Middle East. They are everywhere and very friendly. Mongols use the camel’s milk for butter, cheese, and to make a type of vodka that I recommend you stay away from. 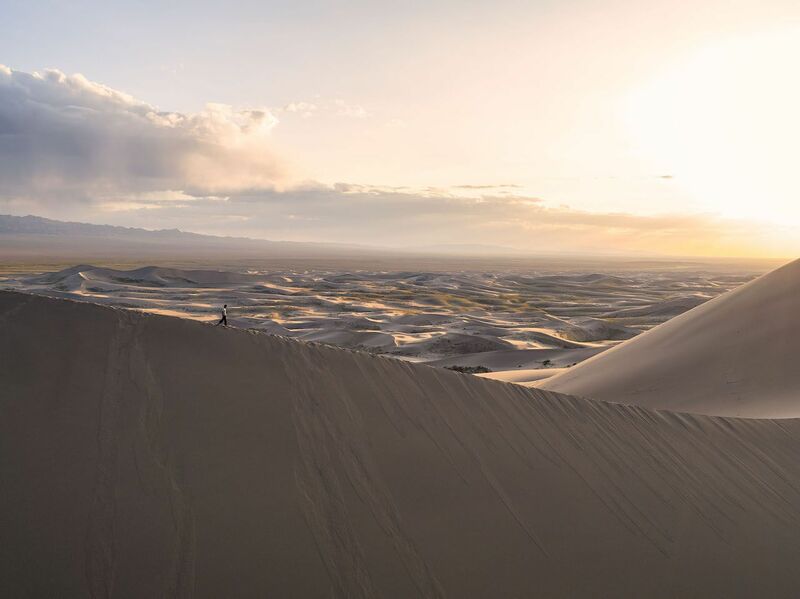 We made it to the singing sand dunes later that day. I immediately pulled my drone out of the back and started burning battery packs to get the sun setting and some choreographed shots of the riders. 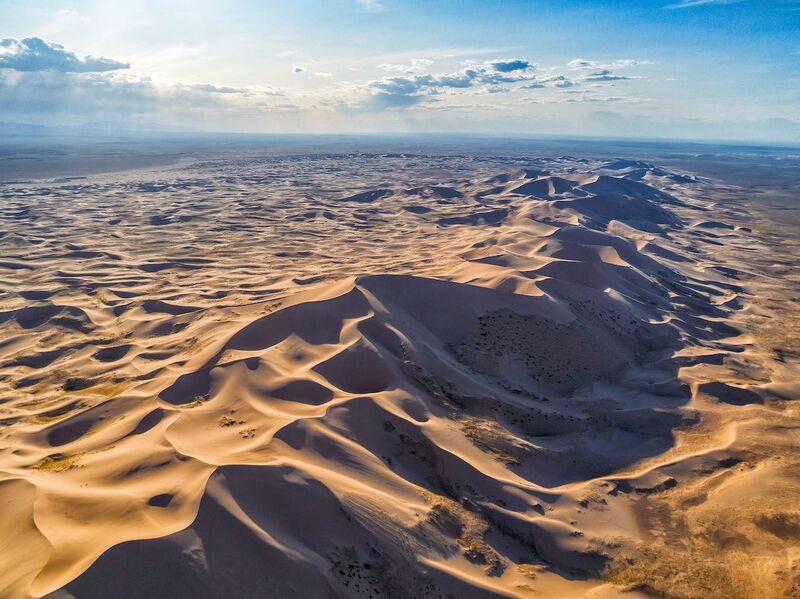 The dunes are 120 kilometers long and about 470 meters high, but they are constantly being shaped by the wind. They get their name from the low-humming sound the sand makes as it moves. We left the singing sand dunes the next day and started to make our way north towards the mountains. Riding through a bog on our way to the next camp. 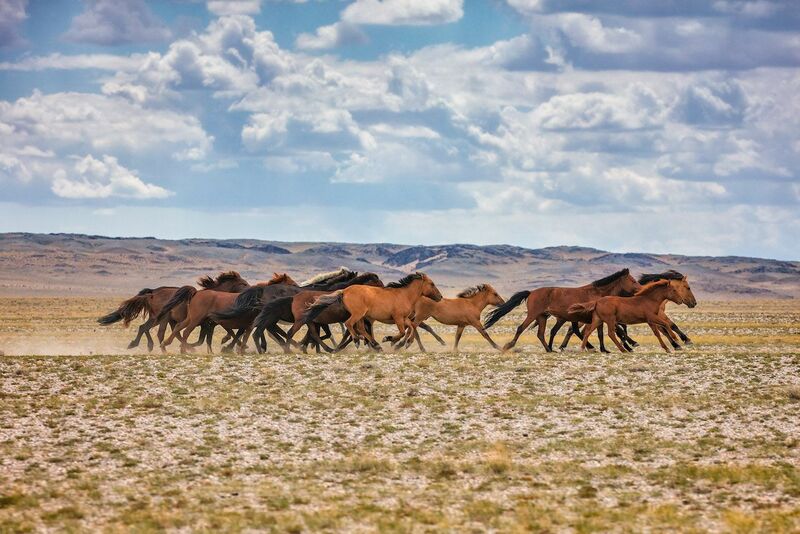 The hospitality of the Mongolian people is like no other. 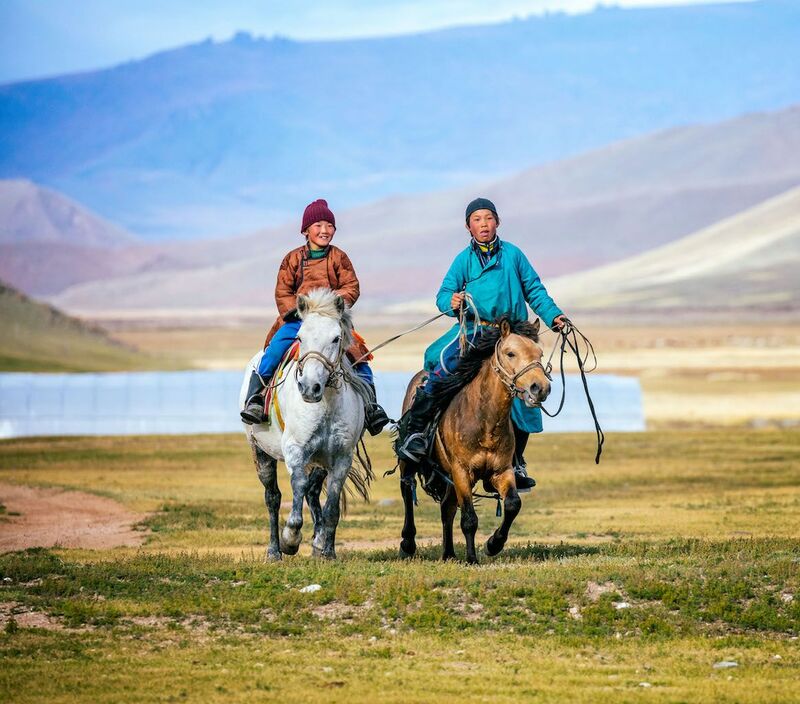 We would come across small homesteads and the inhabitants would invite us into their homes and offer us cheese curds and airag (fermented horse milk). They would change the entire course of their day because a stranger had arrived. A ger on a family homestead with cheese curds drying out on its roof. The riders had small gifts for the children we met along the way. They also needed to ask for directions as there was no actual road and the GPS units weren’t always cooperative. 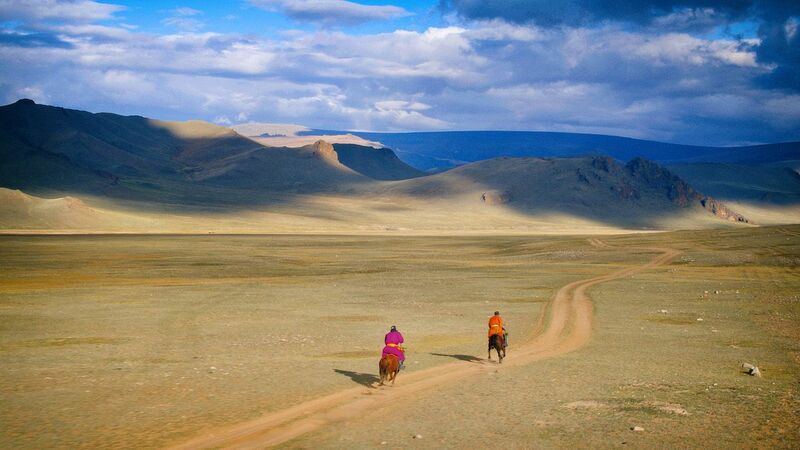 Riding horses is the best way to get around in rural Mongolia and Mongolian people are extremely talented riders. Our last night on the road was spent at White Lake. 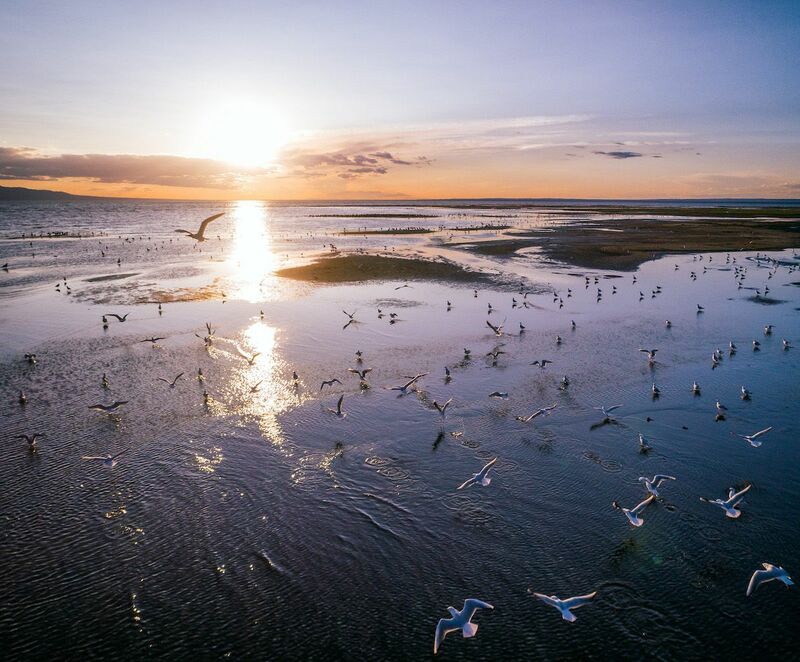 There was a large flock of migratory birds at the lake as the sun set. Our last day was a long 300-kilometer stretch of patchy roads and river crossings into the mountains where rangers were patiently waiting for their new (slightly broken-in) motorcycles. Upon arrival, we were greeted by a big group and dinner party. I was looking forward to my first proper meal in 7 days, but first, I needed to capture the large glacier-covered mountain in the background that I had come so far to see. The next day, we headed to Otgontenger mountain. The riders took their bikes and I followed in the support vehicle with my driver Boro to the Sacred Lake at the base of the mountain. The lake is a place of offering and is off limits to women. Approaching Otgontenger for the first time. 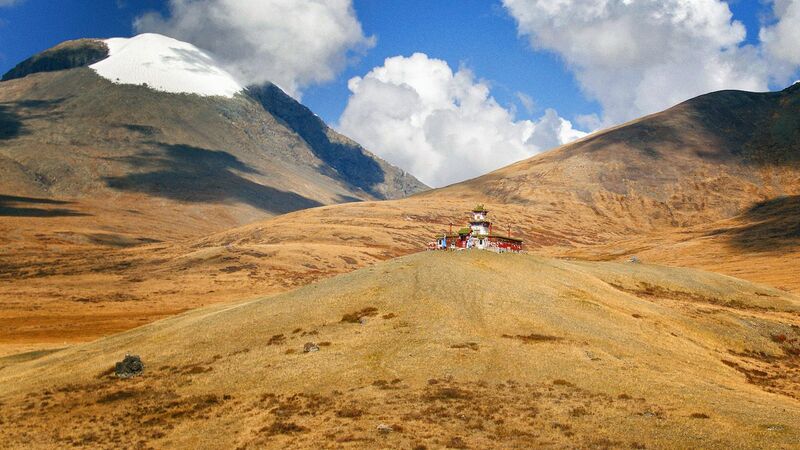 The temple at the base of the trail to the sacred lake. I spent the next few days at Otgontenger filming my interviews and shooting as much as I could. There was a large ceremony where the riders handed off the bikes to the park rangers, who were thrilled. A few of the locals asked me to film them racing their horses. On our last night at the base of the mountain, a party was thrown in honor of the riders and the crew. The night was filled with throat singing, traditional dance performances, and traditional Mongolian food. 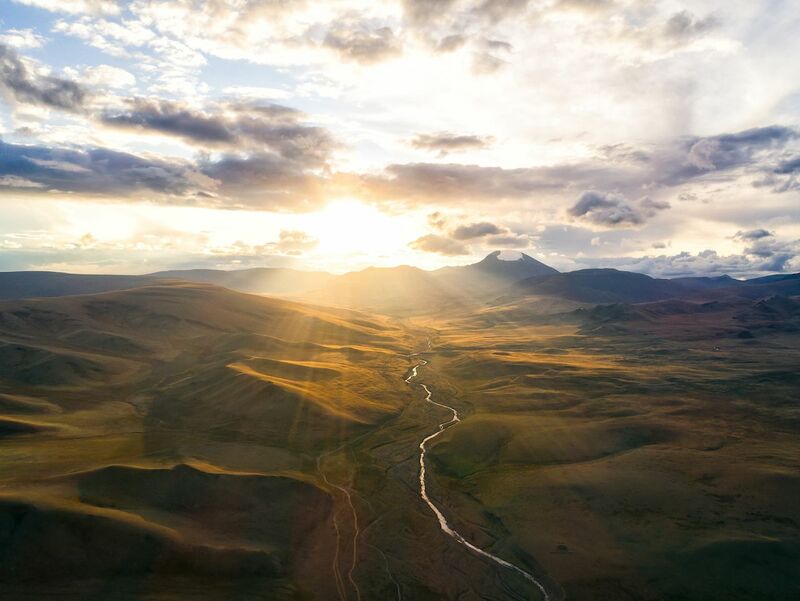 I never thought I would go to Mongolia once, let alone three times, but when you go to Mongolia, you leave a piece of your heart behind and you always return to retrieve it.